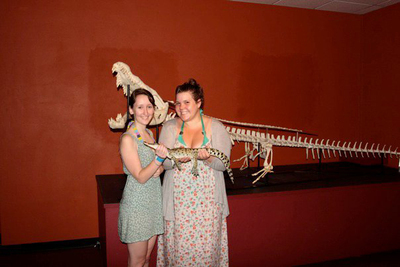 There are lots of amazing things to do around Darwin, there are stunning national parks, breath taking waterfalls, and of course: crocodiles. 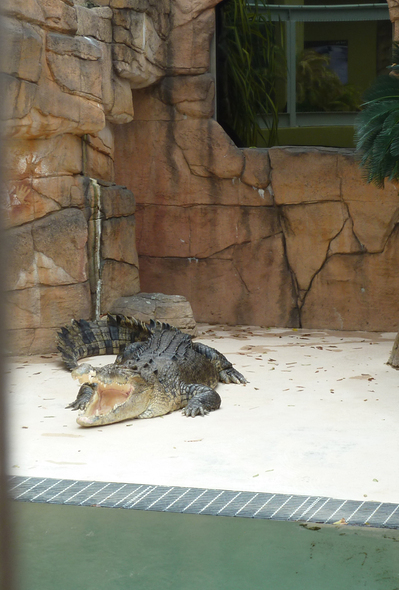 For a bit of a different crocodile experience, or if you don't have the time to take a drive out to Kakadu and other parks, Crocosaurus Cove is right in the centre of town. The big crocs are the most impressive residents. There's Burt who starred in the first Crocodile Dundee film, Chopper who is missing his two front teeth, a 5.5m croc called Wendell, and couple Houdini and Bess who were renamed William and Kate in honour of the royal wedding in 2011. You'll appreciate the strength of the crocs a lot more after you check out the pressure of a crocodiles bite (at 30,000 kPa they're stronger than any other animal out there). 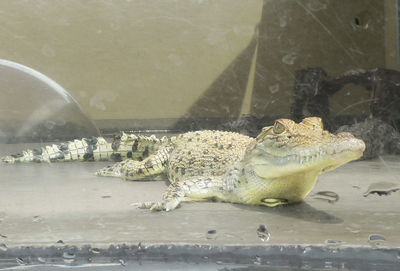 Then take a look at the baby crocodiles and compare them to the giants they'll grow into. 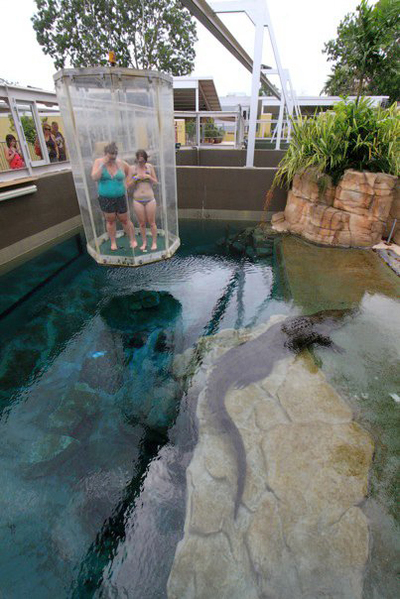 The tanks allow you to see the crocs from above, or down below, but for the ultimate view why not get inside the tank? 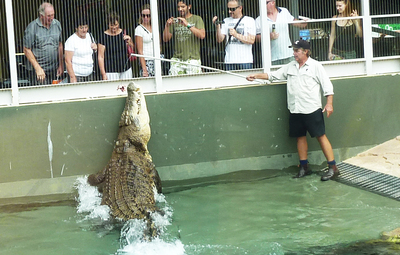 The Cage of Death is the only chance you'll get to go down in a 'cage' and swim with crocodiles. Kids can enjoy a slightly tamer experience when they swim in a pool alongside some baby crocodiles, only separated by clear fiberglass. 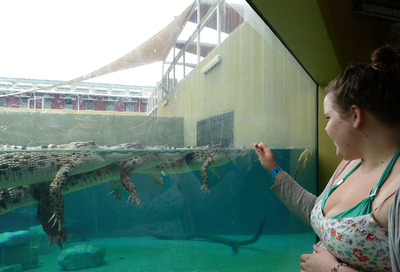 It's not just about the thrills, you'll learn a lot at Crocosaurus Cove too. It's got the world's largest display of Australian reptiles, and the park is full of people who know all there is to know about crocodiles. The extras like the Cage of Death or feeding crocs cost a bit extra, but it'll be worth it. Entry is $30 for adults and $18 for kids. If you have any friends who are locals get them to come along, for the same price local's can get a year-long pass as long as they have a NT driver's license. The park is open every day except Christmas Day, and you can check out the full daily program online.